Washington — Sen. Chris Murphy, who as a member of the Senate Foreign Relations Committee will vet the nomination of CIA Director Mike Pompeo to head the State Department, said he is willing to consider the candidate’s qualifications, but slammed President Donald Trump for failing to choose someone with diplomatic experience for the job. “I’m willing to hear Mike Pompeo out, but if the president is just looking for someone who will more efficiently and enthusiastically gut the State Department, this nomination should be a non-starter for Democrats,” Murphy said. Trump on Tuesday ousted Secretary of State Rex Tillerson amid delicate diplomatic initiatives, including possible talks with North Korea. Tillerson was traveling through Africa this weekend, but cut short his trip to return to Washington, D.C. His spokesman said the secretary of state was “unaware of the reason” for his firing. Trump told reporters Tuesday that he had been considering removing Tillerson for “a long time” because they disagreed over U.S. policy in areas that included the Iran nuclear deal and the U.S. approach to North Korea. Trump announced the shakeup through a tweet. “Mike Pompeo, Director of the CIA, will become our new Secretary of State. He will do a fantastic job! 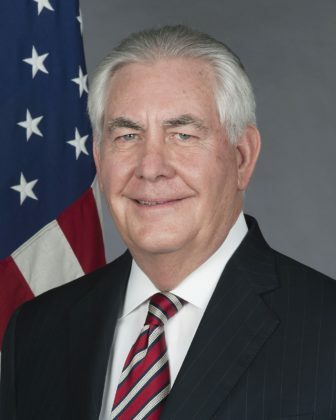 Thank you to Rex Tillerson for his service! Gina Haspel will become the new Director of the CIA, and the first woman so chosen. Congratulations to all!,” Trump said. Murphy responded with his own tweet. “Crazy, out of the box thought I just had – maybe a president with no diplomatic experience should stop picking Secretaries of State with no diplomatic experience,” the senator said. Tillerson is a former president and CEO of Exxon Mobil. Pompeo is a former GOP congressman from Kansas. Richard Blumenthal, D-Conn, also took to the twitterverse over Tillerson’s firing. “Musical chairs is the Trump Administration’s professional pastime — who’s in, who’s out, who’s next. 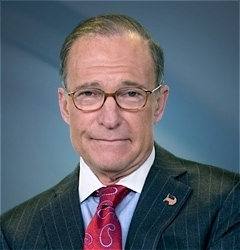 This churn undermines American national security,” Blumenthal said. More than a year after Trump assumed office, many top jobs at the department are still empty. “I think Larry has a very good chance,” Trump said.